Prashant Yadav is a Senior Fellow at the University of Michigan’s William Davidson Institute and a Visiting Scholar at Harvard Medical School. 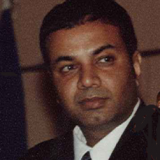 Yadav is considered a leading expert on healthcare supply chains in developing countries. He advises global leaders, developing country governments, bilateral and multilateral institutions and industry executives on healthcare supply chains in emerging markets. He is the author of many peer-reviewed scientific publications and his work has also been featured in prominent print and broadcast media including The Economist, The Financial Times, Nature and BBC. He has also testified in the US Congress and conducted briefings at the US Capitol on issues related to medicine supply chains in developing countries. Yadav serves on the expert advisory boards of many global health organizations including Sproxil, Logistimo, and Dalberg Global Development Advisors. He is a Commissioner of the new Lancet Commission on Essential Medicines. From 2011 to 2013 Yadav was the chair of the Market Dynamics Advisory Group of the Global Fund. Before his current role Yadav he was a Professor of Supply Chain Management at the MIT-Zaragoza International Logistics Program where he created a high impact research group focused on global health supply chains. Prior to academia Yadav worked in the pharmaceutical industry as strategy advisor on product uptake and supply chain issues.